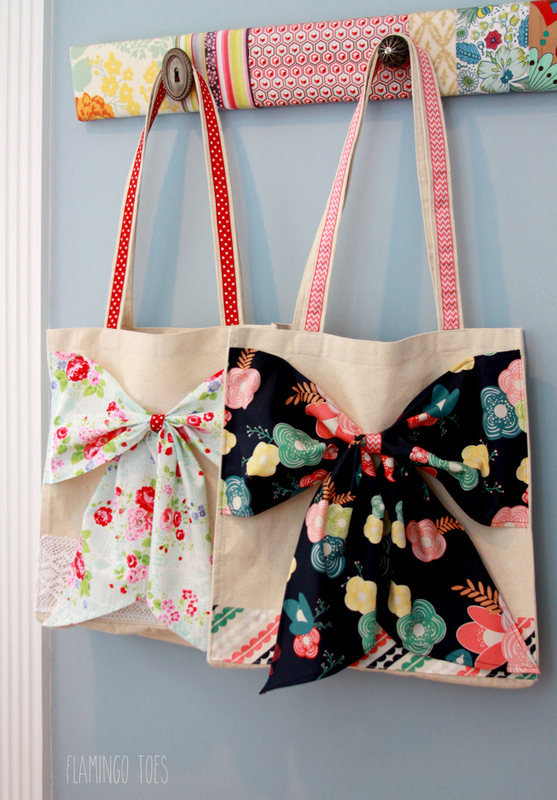 I don’t think you can ever have enough cute totes. And I have a little confession – I’m addicted to making them! It’s wayyy cheaper than buying them. :) They are so fun to do and it’s so great having accessories that you can coordinate with any outfit. Sometimes I like a quick and easy project though where I don’t have to make the whole bag from scratch. 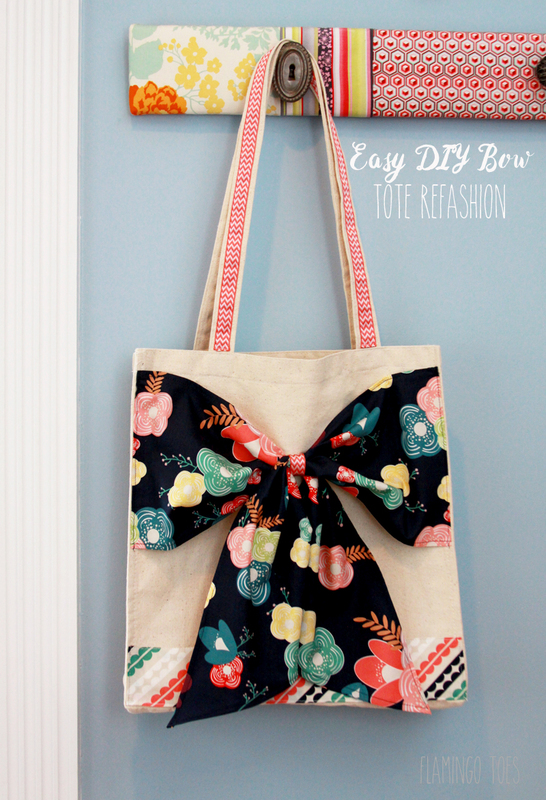 You can easily dress up a plain canvas tote with just a little fabric and ribbon – like this Easy DIY Bow Tote Refashion! 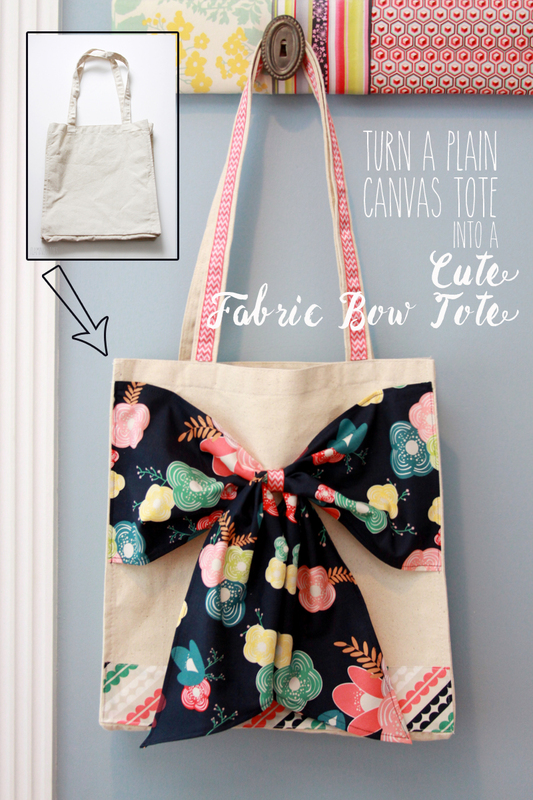 It’s a plain canvas tote that’s dressed up with colorful fabrics and it only takes about 30 minutes to put together! 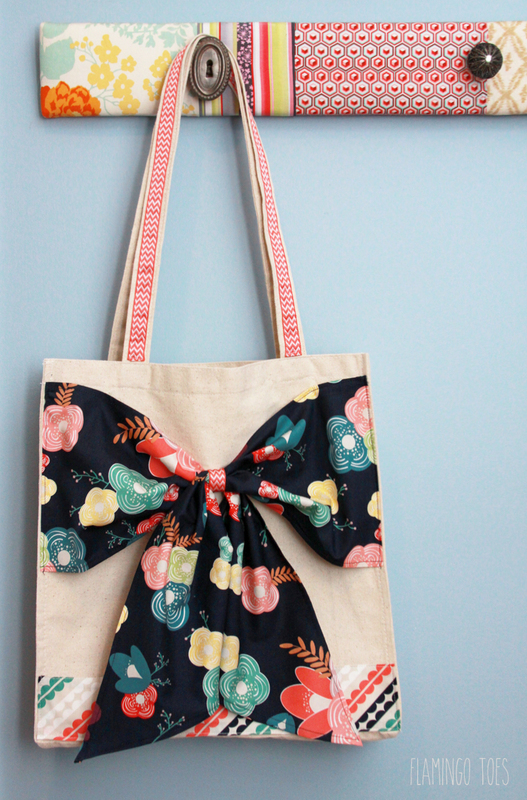 This tote would be such a great gift too! They’d make great teacher gifts – or the holidays are just around the corner! 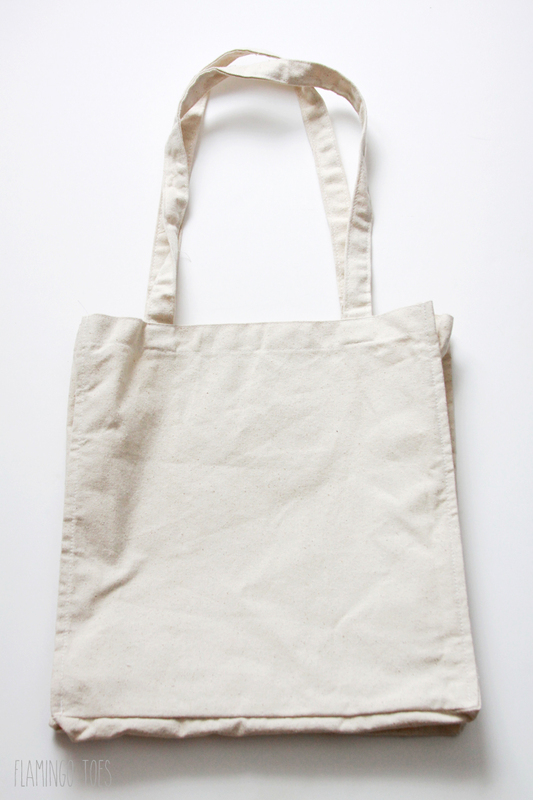 Canvas totes are all different sizes so you’ll want to take into consideration how big your tote is when you’re cutting out your fabrics. 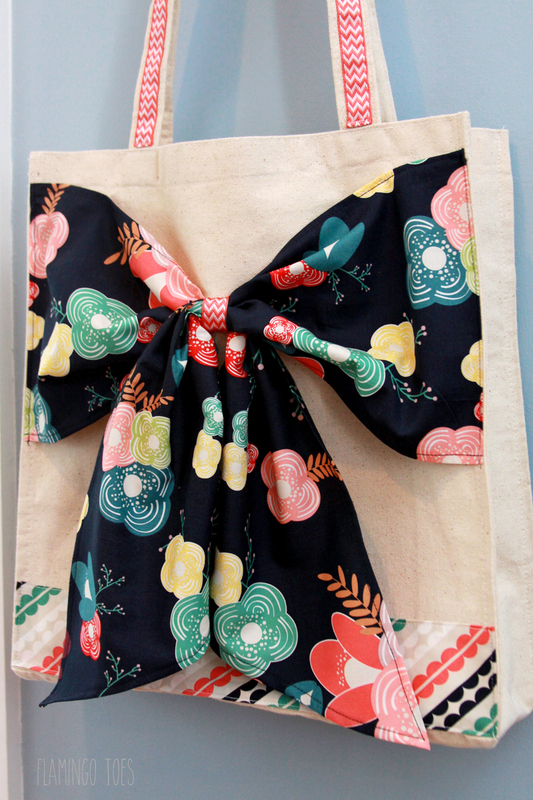 Measure out a fabric panel for the bottom of the tote – 4″ tall and 1″ wider than your tote. Press the top and bottom of your fabric under 1/2″. Fold the two short sides in 1/2″ as well. Sew in place at the bottom of the tote, making sure you don’t catch any of the tote or handles while you sew. 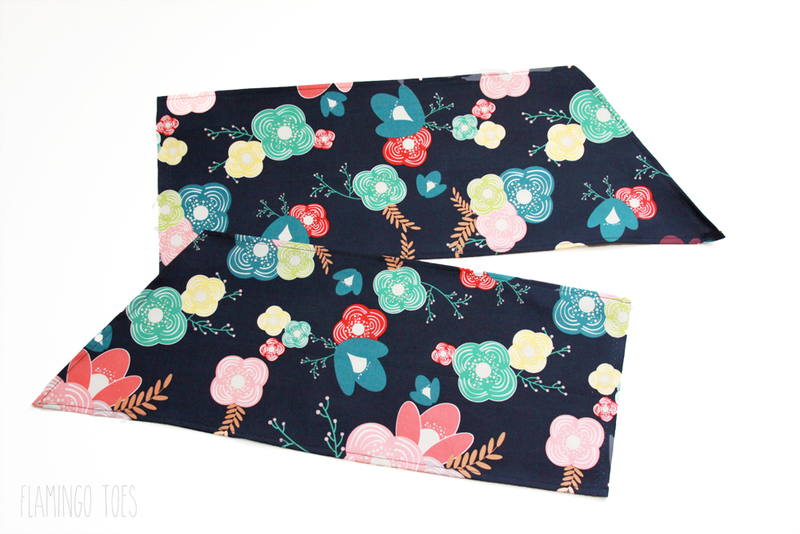 Cut out two pieces of coordinating fabric that are 7″ x 22″. Cut two ends of the fabric at a diagonal, opposite of each other. Hem the top and bottom and the diagonal edge of the pieces. 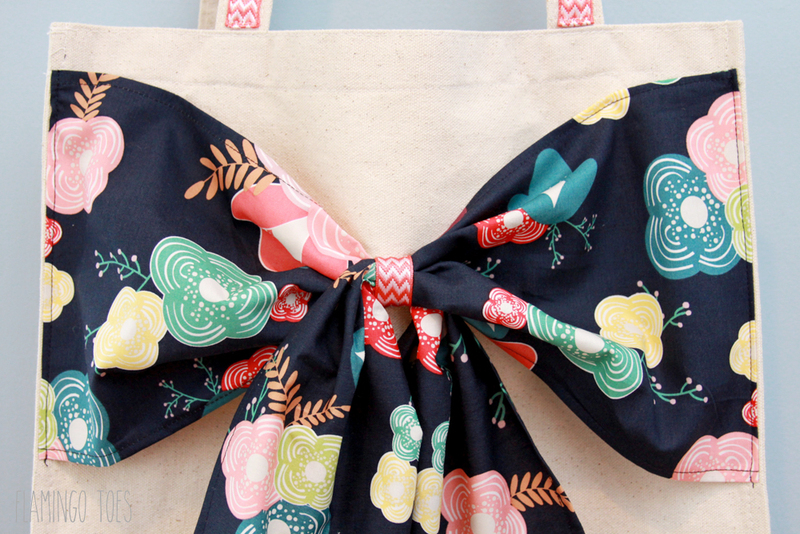 Place the fabric pieces at each side of the tote. The diagonal edges should angle down for each piece. Turn the raw edges under along the left and right sides of the tote and sew the pieces down along each side. 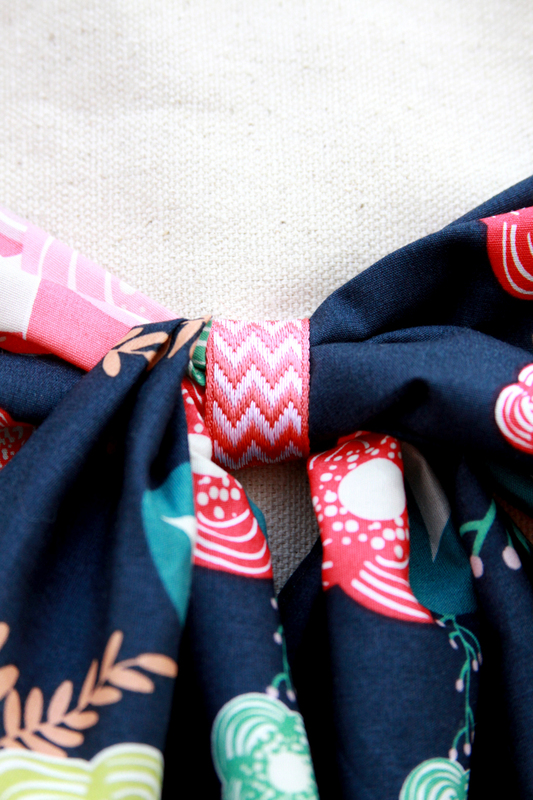 Gather the fabrics in the center and wrap a piece of ribbon around them to form the bow. Sew the ribbon in place. 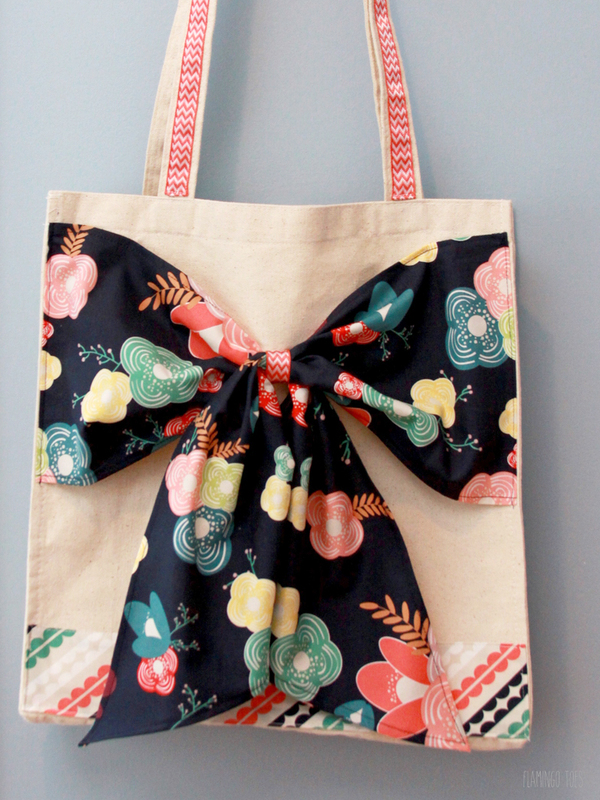 Sew the ribbon down to the inside of the tote to hold it in place. Tack the tops of the bow pieces about 2″ in from each side to keep the bow straight. Cut two lengths of ribbon 1″ longer than each strap. Fold the ends under and sew in place on the front of each strap. That’s it! 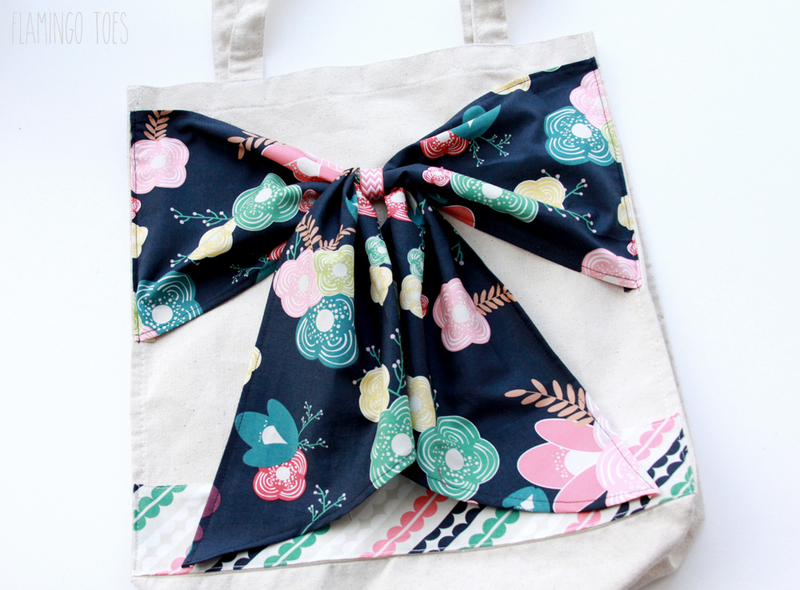 You have a cute new tote refashion! You can really change up the style by just changing the fabrics and adding in some lace! You can check out more details of the fabric and lace version here. 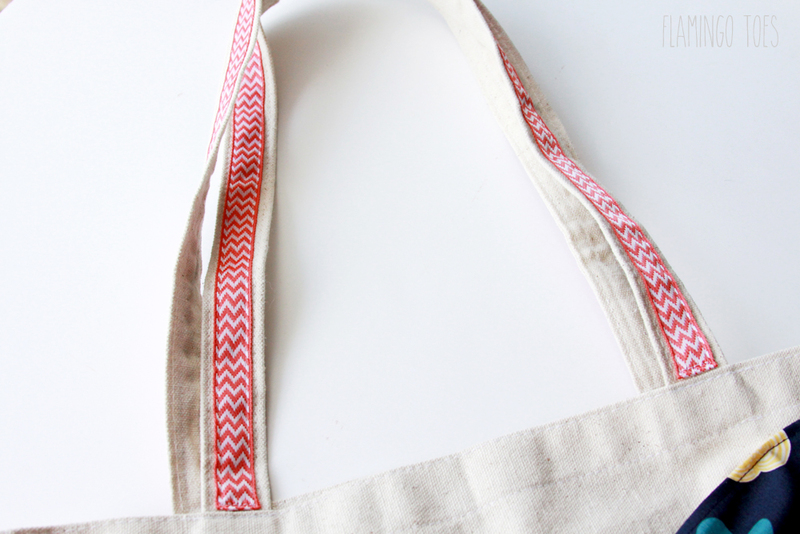 I hope you give this easy Tote Refashion a try! I love this!! where did you get your fabric??? It is cute. It is easy! Love it! Thank you for the tutorial! LOVE LOVE This! 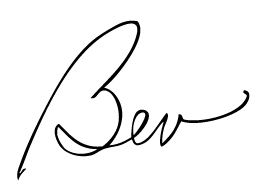 and it’s super easy to follow the tutorial!! Pinning! 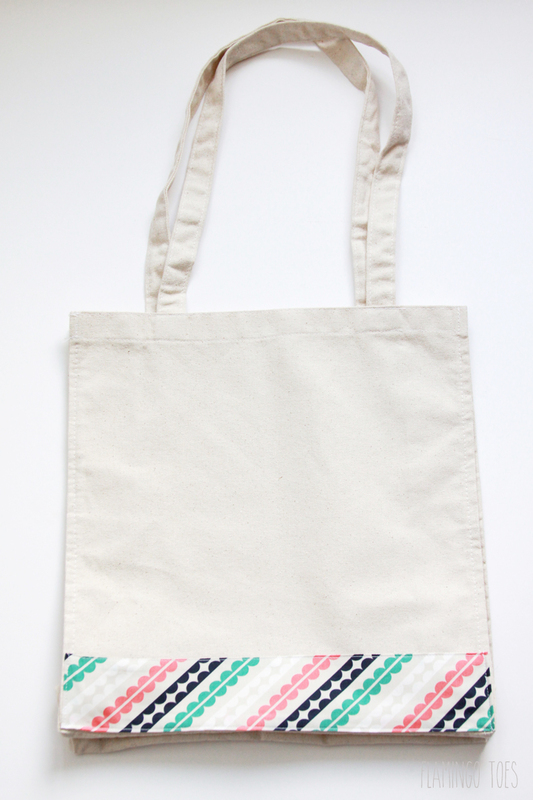 Totes are great, kind of like shoes, can’t have too many! 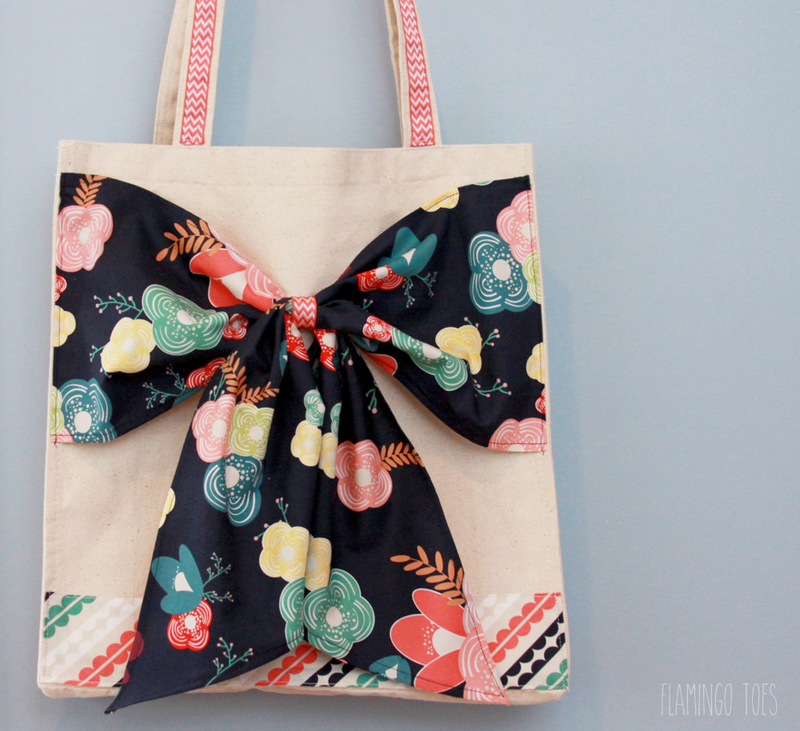 I absolutely love this tote, so fun with the bow. Love this! Where is the fabric from?